The good news is that only one quarter yard came in this week! 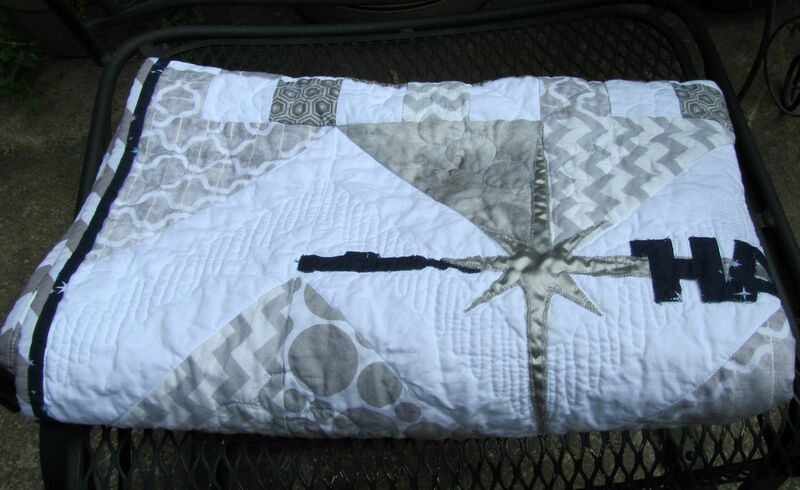 And I used three and a half yards to remake the Star Wars baby quilt. Grrr. A post about that later. Anyway, I’m moving that stash out a little at a time. 1. Complete coastal wall hanging. Almost! I have it partially quilted. 2. Work on UFO geometric wall hanging. No. Haven’t even looked at it. 3. Make a top from my new Christmas fabrics. Looking at these tutorials: https://www.youtube.com/watch?v=Tkm3nCferp4 and https://www.youtube.com/watch?v=vSKQhzZYwFw from Missouri Star. Yes! The top is finished, as well as the back, and ready to be sandwiched. 4. Source little zippers for earbud pouches. No. Kinda lost interest in these, though they are cute. 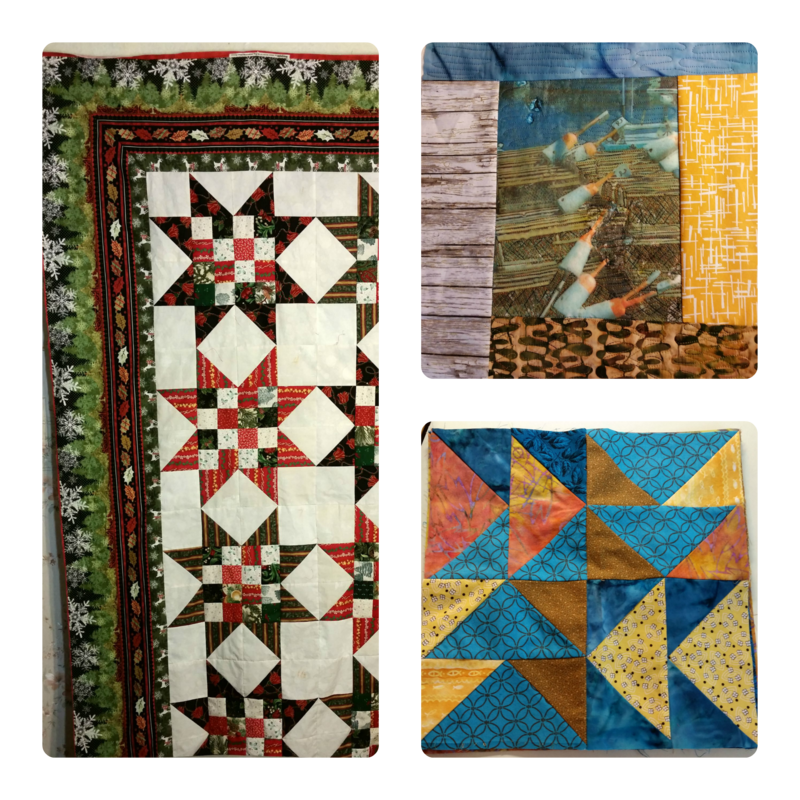 I think I could have finished this list, think I would have, except for the commissioned baby quilt. Still think I would have, except for having to remake the baby quilt. And somewhere in there I took a break to make six scrappy blocks for Kat’s August block drive (mine have that blushing batik in them) . Here is what she’s doing for September. Make a baby quilt from some floral scraps I’ve pulled together, probably D4P. How are you doing on your sewing goals? A busy, busy time, but things should start to settle down this month. Good luck and enjoy!